State Representative Richard Smith (R-108th) and State Senator Michael McLachlan (R-24th) recently discussed the 2017 state budget process and provisions of the recently-adopted budget that will affect Sherman residents at a town hall budget forum at the Sherman firehouse. Rep. Smith represents the 108th General Assembly district communities of New Fairfield, Sherman, New Milford and Danbury. Sen. McLachlan represents the 24th Senate district communities of Danbury, Bethel, New Fairfield and Sherman. 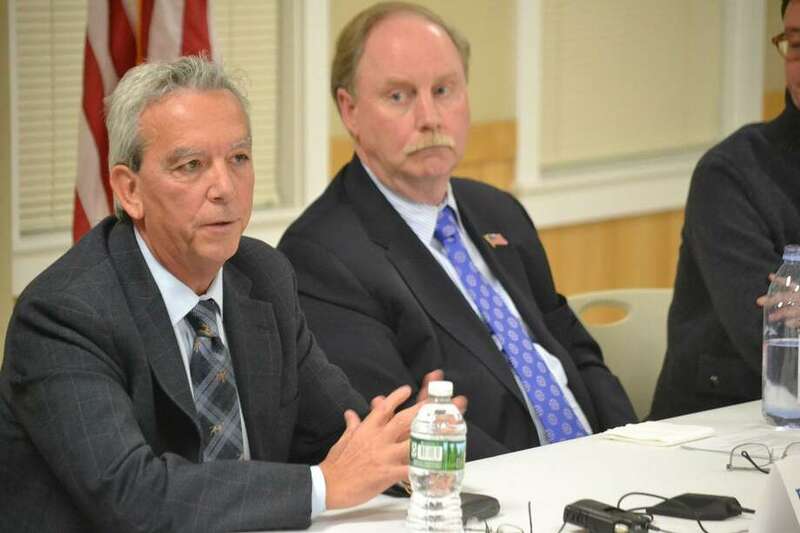 Several Sherman municipal officials, including outgoing Selectman Clay Cope and Selectman-Elect Don Lowe also spoke on the panel and offered their thoughts on how this budget would impact Sherman. Of particular concern to residents were state funding for municipal programs in the midst of Connecticut’s historical fiscal crisis and the cuts made to the Medicare Savings Program (MSP) for low-income seniors and disabled populations. Rep. Smith and Sen. McLachlan spoke about the slow pace of the budget process and frustrations reaching a compromise with the majority party, while emphasizing that the new state budget, while imperfect, implements structural changes such as a constitutional spending cap and a bonding cap - two provisions each legislator had sought for many years. “I was heartened to see such a heavy turnout for our budget forum,” said Rep. Smith. “Considering how arduous and complex the budget process was this year, it is encouraging to see that folks in Sherman are engaged with the issues and demand accountability from the representatives in Hartford.